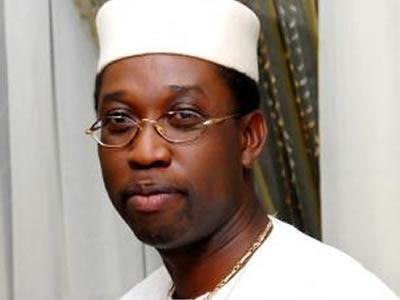 LAGOS JANUARY 22ND (URHOBOTODAY)-Angry youths from Bomadi and Patani local government areas of Delta State Wednesday attacked the campaign train of the governorship candidate of the party, Senator Ifeanyi Okowa. The violence, SaharaReporters learned, erupted when youths and persons suspected to be ex-militants stormed the Bomadi campaign ground of the Peoples Democratic Party (PDP) governorship candidate, while party supporters and members were seen scampering for their lives. The near-bloody incident forced many campaign buses carrying supporters into the community to turn around as the violence spread onto the road linking the community to the East-West road by-pass. Narrating the fracas to SaharaReporters, an eyewitness and youth leader who simply identified himself as Kenneth Ebaifa, alleged that the crisis was triggered by the youths working for an aggrieved former chairman of the PDP in Bomadi Local Government Area. However, before the campaign team hurriedly left Bomadi to Patani, the governorship candidate begged for peace and harmony among party members in the area. At Patani Local Government Area, the story was the same, shortly after the arrival of the PDP campaign train in Patani, another group of youths alleged connected to the party was said to have went on a rampage, destroying a Toyota SUV said to belong to Sen. James Manager. The attackers were protesting what they described as an ‘illegal substitution’ of the name of the Deputy Speaker of the Delta State House of Assembly, Mr. Basil Ganagana, in the House of Assembly primaries said to have been won by the deputy speaker. The youths had before now threatened violence during a mass protest a few weeks ago that no campaign of any kind by the party shall be allowed to take place in the LGA until Ganagana’s name is restored. A quick intervention of some soldiers of the Joint Military Taskforce (JTF) and some mobile policemen brought the situation under control, as police fired teargas canisters to quell the violence. Okowa, who managed to address the people at Patani, called on all aggrieved members of the party as well as party supporters in the state to drop their differences and work in unity for the victory of the party. “Delta State belongs to all of us; we must not allow our personal differences to divide us. The PDP is one family in Delta and we must be united to deliver our party. I enjoin our youths to shun violence and support the efforts of government to make life meaningful for every Deltan. We must remain in peace and make Delta a state for all of us,” Okowa stated. Meanwhile, the Delta State governorship candidate of the All Progressive Congress (APC) in the 2015 elections, Olorogun O’tega Emerhor, has flagged off his campaign. Kicking off the campaign Wednesday at Agbor, Ika South LGA of Delta State, attended by top hierarchy of the party both at the state and federal levels, Emerhor promised that if elected, he shall provide good governance and establish excess funds in the 25 local government councils where youths, women and young men could access funds to set up Small Medium Enterprises (SMEs) to better their lives. Emerhor told the crowd to rebuff the ruling People’s Democratic Party (PDP) during the elections because they have suffered underdevelopment too long in the past 16 years and encouraged the people to collect whatever money PDP offers, as it is tax-payers money. Also speaking, the state chairman of the party, Jones Erhue, said over the years that the PDP government has failed in terms of infrastructural development of the state as electricity, water, job creation and good educational facilities have eluded the state. “When Emerhor has emerged as the governor of the state, Deltans will begin to enjoy the dividends of democracy. APC has come to establish the needed change in the state,” Erhue implored.